"Nahnou Houm" on ECM records is out and available on all platforms. Europe Jazz media Charts chose "Nahnou Houm" as among top 10 november releases. Allaboutjazz Italy chose it as one of the top 10 albums of 2017. While "Nahnou Houm" may have the lofty goal of trying to alleviate the tensions currently being fostered by those spouting aggressive and divisive rhetoric through their music, Balke and the members of Siwan have created music that goes beyond being socially and intellectually inspiring. This recording resonates with music and poetry unlike few albums released these days. Buy it for the lofty ideals it represents, but be prepared to be swept away by its beauty. Ein Kollektiv fantasievoller und virtuoser Spieler setzt die Idee Balkes kongenial um. Es ist ein abenteuerliches und inspirierendes Werk, das aufzeigt, wie es klingt, wenn sich drei Welten wiederfinden, die man einst getrennt hat. Sebastian Meißner "Sounds and books"
Siwan is performed by an ensemble of 16 musicians, who - besides keyboarder and conductor Jon Balke and singer/oudplayer Mona Boutchebak - include: Derya Turkan Kemence, Pedram Khavar Zamini (Tombak), , Helge Norbakken (various percussion), as well as Barokksolistene, a group of early music players, lead by Norwegian Baroque violinist Bjarte Eike. A suite of new music composed especially for the 2012 version of this unique project. Siwan is now, as in the first edition, based on poetry from Al Andalus, mainly in the mwashahad style but now develops and departs from the platform the previous edition created. Siwan has previously invited and collaborated with outstanding vocalists like Amina Alaoui, Lamia Bedoui, and Kamilya Jubran. Siwan is a musical imagination inspired by the poetry of Al Andalus, composed by Jon Balke and developed by the musicians in the group. The word Siwan or Sivan is connected to the number three, triangular or equilibrium in various living and nonliving languages from the Mediterranean region. Siwan points to plausible links between the three-religion culture of Al Andalus, and important phases of European culture like the Renaissance and Baroque. The music of Siwan departed from similarities in musicianship in contemporary players from different traditions, but is not historically correct in itself. 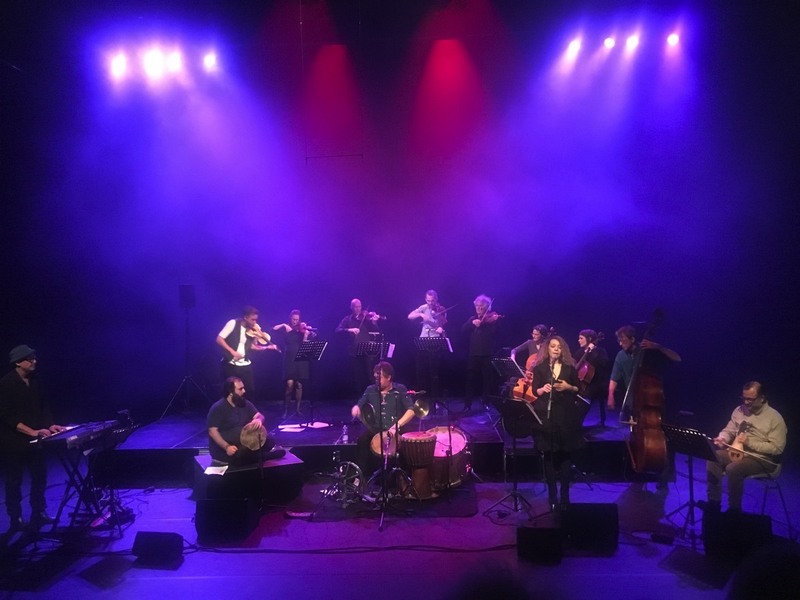 It is a new creation, performed by a collective of creative strongly individual players, fronted by a vocalist deeply rooted in arabic music traditions. Siwan was commissioned by Cosmopolite, Oslo's legendary multicultural stage, for its 15 year jubilee in september 2007. Siwan has been performed in Oslo, Bergen, Stavanger, Cairo and Berlin. Siwan has won the "Jahrespreis der Deutschen Schallplattenkritik" in 2009, has been chosen "CD of the week" on Australian Broadcasting Corp., was selected CD of the month in July 2009 on FIP, France. Special radio programs featured SIWAN in Israel, the USA and Germany.